If you’re anything like me, you have been dreaming of the perfect wedding day for years, and now the time to plan that day is finally here. Wooohoo! This is where the fun begins. Planning a perfect day starts with deciding on the perfect venue. So many factors go into this, and it’s all completely dependent on YOU as the couple and what you two like. There are so many things to consider, choosing can be overwhelming. But don’t fret; I’m here to help! I’ve been in your very same shoes (currently comfy moccasins), and have some insight in things to consider when choosing the perfect venue. First things first, you need to select a rough timeframe that you want to get married- this summer, next fall, or over a year from now. Having a general timeframe in mind when contacting venues makes it much easier to narrow them down. If you want to get married this summer, then a venue with no summer dates left available will be easy to cross off the list. Pro tip- start contacting venues ASAP. The sooner the better, because popular weekend dates (especially summer ones) tend to book up very quickly. Generally, booking 12-18 months in advance is the sweet spot. Food- Some venues are exclusive with a local caterer, others have an in-house caterer that they use, and some don’t care and let you use any caterer you choose. We found that by choosing a venue that allowed us to use any vendor we wanted, we could save some extra money. We chose to do Sticky Lips BBQ- really tasty food for roughly $18 per person, which was much cheaper than most other caterers could offer. Alcohol- Similar to food, some allow you to bring your own alcohol, and will require it be served by a licensed bartender. Others require that you use their alcohol and bartending services, and will either charge per drink served during your wedding or will charge a flat rate up front multiplied by the number of guests attending, regardless of how much they drink. Generally if you can bring your own food and alcohol, costs will be lower overall. And that means more budget to spend on other things- like your dress, photographer and flowers. Capacity- depending on the venue, capacity may be limited due to their physical size. Having a rough idea of guest count when starting the venue search will help you narrow it down to venues who can accommodate your guests. Some venues are tiny and only allow 50 guests. That’s perfect for intimate weddings, but not so great if you plan on inviting your huge family and all your friends! Planning and extras- Some venues are all-inclusive and include florals, food, alcohol and planning in their packages, while others provide the facilities and you’re on your own to find and plan your vendors. It definitely makes it easy when the venue comes with those extras, but forces you to use their vendors and prohibits you from shopping around. We chose Toganenwood, because it provides none of these additional services. We wanted the freedom to choose our own vendors, and were okay with having to do some extra work to do that. I’m a planner to the core! And love being able to work out all the details together. It’s all a matter of what the two of you want, your budget and the vibe you’re dreaming of for your special day. Browse around on The Knot and check out reviews of venues you’re considering. It is SO helpful to get inside knowledge from people who have already had a wedding there. Absolutely go on an in-person tour of the venue before booking. It’s crucial to see it for yourselves and meet the staff to get a feel for how they operate. And most importantly, have fun during all this planning and take advantage of the time you have! Although your wedding day may seem far away, I promise it will be here before you know it. I can’t believe ours is now less than six months away. WOOHOOO! I hope this was a helpful post as you begin the planning process! Having gone through this myself, I have lots of tips that I’m happy to share. I’m here to help and hope you can find amazing vendors that will turn your dreams into a reality!! 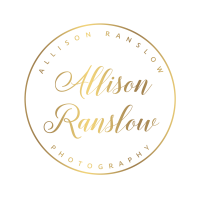 Stay tuned for the next wedding planning blog post on how to select the perfect photographer that will capture the day of your dreams. awesome tips! It can be SO overwhelming to find the perfect venue, but this really helps to break it down. So important to compare apples to apples. And of course the photos are beautiful! What a great guide for couples! It is so daunting to start looking for a rad location, so many things to consider and it’s really hard to compare prices! Wow! What an advantage to have venue recommendations from a Colorado wedding photographer! These are all so gorgeous and excellent tips for your brides. The venue is definitely important since that where you’ll be spending your time after or even during the ceremony. These tips will help a lot of couples still on the search for the perfect venue. These are such amazing tips to help in the wedding planning process. Picking the perfect venue sets the entire tone of the wedding so you definitely have to pick the right one. Can’t wait to see your next post on how to pick the perfect Colorado Wedding Photographer. My sister has started searching for her wedding venue, I’ll have to share these amazing tips with her! I love that you mentioned the different amenities venues may or may not offer! Yes! Plus your wedding venue will set the tone for your wedding budget. You never want to be venue poor. I always recommend using a planner to help with key pieces like the venue but I’m partial. Great informative list from a great Colorado wedding photographer.